The quality of this playing on Volume 1 is altogether exceptional. 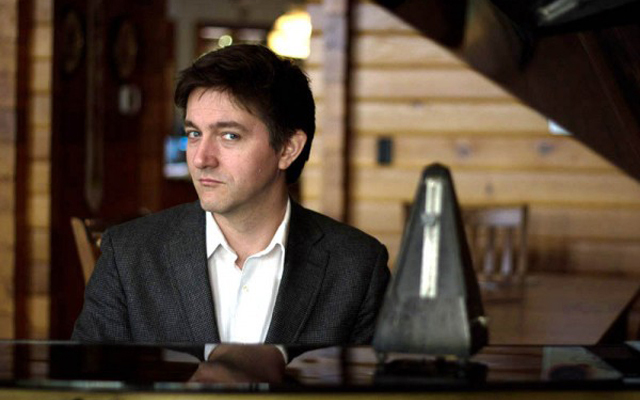 Pianist Stu Harrison takes nothing for granted in music. Nor should we do so in listening to him. If you know how Rodgers & Hart, Lerner & Lowe, Irving Berlin or Eden Ahbez ‘go’, if you know how Oscar Peterson or Dizzy Gillespie ‘goes’, or how anyone else goes, then this almost certainly isn’t for you. Not that Stu Harrison is wildly idiosyncratic, let alone provocatively iconoclastic à la Paul Bley. At the same time, mercifully, the young Canadian pianist shows no sign of being a budding prophet. Rather he plainly understands that every interpretation is just one possibility, and he offers us a very enticing opportunity to open our minds, especially in those familiar composers (and works) most burdened by tradition – in the case of Jazz Standards, or the American Songbook. 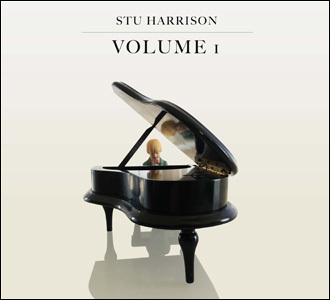 But even the hardest of hard-nosed ‘standards’ refuseniks cannot deny that Volume 1 and its programme of Standards, as played by Stu Harrison with his apparently effortless distinction between the many filigree lines and aristocratic elegance makes for a champagne disc – fizz and finesse. In the spectacular and reportedly ‘first take’ of “On The Street Where You Live” revelations abound. In Oscar Peterson’s masterpiece from The Canadiana Suite “Place St. Henri”, where many pianists (including some rather great ones) are repetitious to a fault, Harrison unexpectedly takes us into another world. It’s full of glinting lights, mysterious depth, expectations, hopes and doubts and ultimately triumphs much like what Oscar Peterson and his beloved Canada stand for. In sheer colour and variety, in the depth of its characterisation and the exceptional range and refinement of its pianism, Stu Harrison here imparts a tensile beauty to the piece that few pianists have achieved. And in the sheer variety and stylishness of the rest of this enterprising Volume 1 is matched by the performances throughout. Stu Harrison brings effortless rhythm (cue his solo performance on “My Romance”), urbanity and lyricism to all the items which are as seductive as they are persuasive and an object lesson in the very essence of style. Of course, it helps enormously that his every effort is bolstered by the presence of the great drummer, Terry Clarke and the ineffably brilliant bassist Neil Swainson (absolutely breathtaking on “Place St. Henri” and “Body And Soul”) in the room with him, pushing him every step of the way. Harrison’s own performance in “Body And Soul” is wistful and aristocratic and quite beyond exquisite. The debonair virtuosity and swagger of “Cheek To Cheek” with its magnificent ragtime entry and Dizzy Gillespie’s “Manteca” even without Chano Pozo’s heavy Afro-Cuban thunder are both almost insolently brilliant. His ritual trial-by-fire in balladry is masterfully executed in the ravishingly beautiful “My Romance” and “Young & Foolish”. Al in all, Stu Harrison executes his debut with extraordinary perceptiveness, maturity and genius. Track List: On The Street Where You Live; Blame It On My Youth; Place St. Henri; Body And Soul; In You Own Sweet Way; Cheek To Cheek; Nature Boy; Manteca; My Romance; Young & Foolish. Personnel: Stu Harrison: piano; Neil Swainson: bass; Terry Clarke: drums.